Join our virtual diaper drive. Your donation makes an immediate impact in the fight to end diaper need! 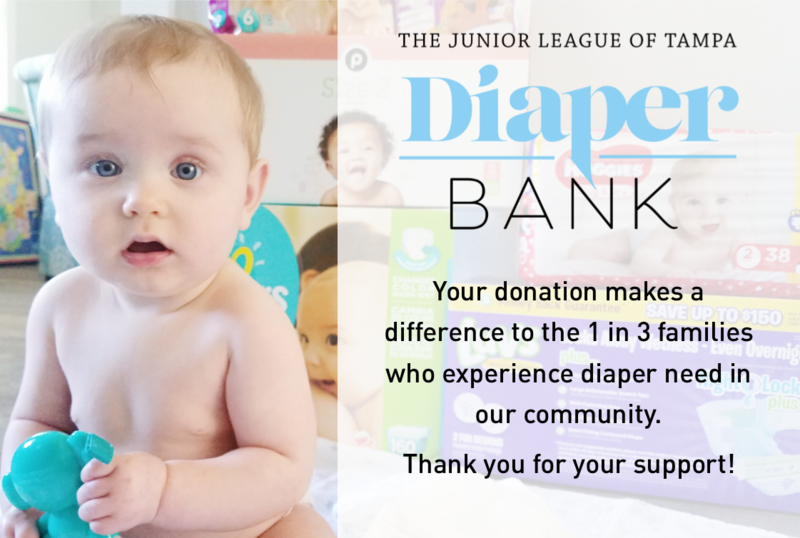 The Junior League of Tampa Diaper Bank accepts diapers, training pants, diaper cream, wipes, as well as menstrual pads and tampons.